I am currently blogging from #BlogBrulee at beautiful Smuggler’s Notch Vermont. I’m only half a day in and already I feel like I’ve learned so much and met the most amazing, inspiring bloggers. More on that to come – or if you can’t wait, check out my last post, which explains all about the awesomeness that is Blog Brulee. I owe my ability to even go to Blog Brûlée to Recipe ReDux, which not only gives me creative recipe ideas every month and allows me to connect with fellow Recipe ReDuxers; it also means I get introduced to awesome foods/food brands/commodity boards like California Ripe Olives. 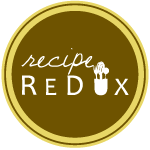 They’ve challenged us ReDuxers to utilize and highlight California Ripe Olives in a unique and tasty recipe that also includes other flavors represented in the Mediterranean Diet e.g. vegetables, legumes, nuts, fish/seafood and more. I received free samples of California Ripe Olives mentioned in this post. By posting this recipe I am entering a recipe contest sponsored by California Ripe Olives and am eligible to win prizes associated with the contest. I was not compensated for my time. If you haven’t gathered from my blog/social media food posts (which make up about 99% of my posts), I am a HUGE fan of Mediterranean foods, and being half Armenian, grew up eating the best. My favorite Mediterranean food – hell, my favorite food period – is hummus. Hummus has the perfect blend of lemony-garlicky-olivey flavor that works just as well as a dip, spread, condiment or to eat with a spoon (guilty). Beyond the deliciousness, hummus provides great nutrition. My clients often think that hummus is “fattening.” Grrrrrr, the “fattening” comment AKA one of my dietitian pet peeves. [Stepping on soapbox] First off, foods that contain fats, specifically the good ones – monounsaturated, omega-3s, etc. – do not make you fat. In fact, those fats bring down inflammation in your body, which can make you feel better and also decrease your risk for various health issues such as diabetes, heart disease and inflammatory issues like rheumatoid arthritis and IBS. Okay, back to my love affair with hummus and also my love for olives, which I’m not sure I’ve mentioned yet but which is real and true. Olives are an essential part of the Mediterranean diet and contain monounsaturated fat (1.5 grams per 4-olive serving) – the good fat, as we’ve discussed. California Black Ripe Olives are as nutrient-loaded as they are tasty. They contain vitamin E (0.25 mg per serving), iron, (0.49 mg per serving), vitamin A (60 IU per serving) and fiber (0.5 grams per serving). California Ripe Olives are extremely versatile in the pantry. Since I love hummus already, I figured why not pump up the olive flavor with California Ripe Olives? Oh, did I mention there’s also red wine thrown in the mix? Because sometimes when you’re making California Ripe Olive Hummus and drinking red wine, you have crazy ideas like adding said wine to the hummus. And sometimes these ideas actually turn out great, as they did here. Cheers to that! 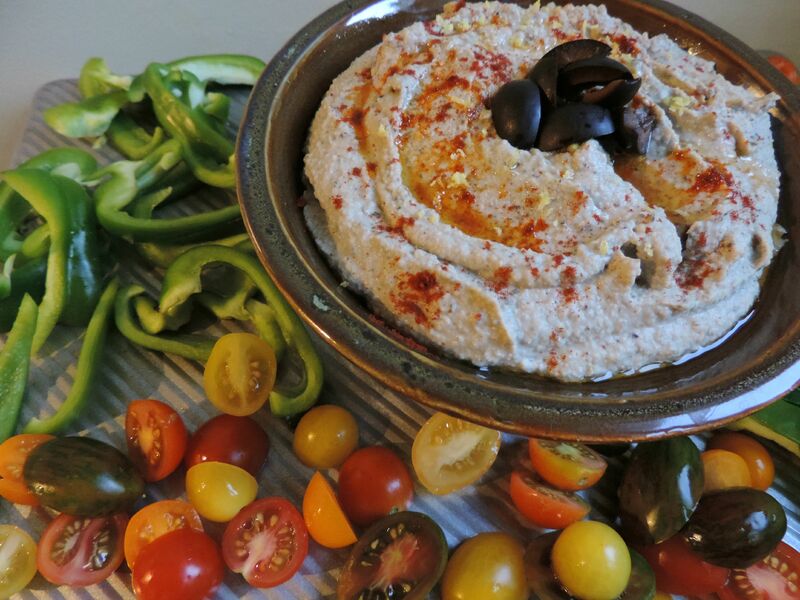 Serve this savory, briney hummus with your favorite vegetables, cheeses and meats or enjoy it spread on a sandwich or “dilute it” with some oil and vinegar like I do to turn it into a salad dressing. 1/3 cup olive oil plus 1 tsp. Add all ingredients, except for olive oil, to food processor and process until smooth. Drizzle olive oil through the feed tube and process until well-incorporated. Chop reserved olives and add to the top of the hummus as a garnish. Drizzle with 1 tsp. olive oil. For more California Ripe Olive recipes, check out the link below. Being half Armenian, I have grown up with and absolutely love Mediterranean food. All of the delicious seafood and cheeses plus a veggie and nut focus – fantastic. Even better, a Mediterranean diet (with a vegetable, bean/legume, seafood and nuts/oil focus) is chalk-full of vitamins and minerals, as well as healthy fats (unsaturated fat from the oils and nuts and omega-3s from the seafood). The problem is, the term “Mediterranean diet,” is quite ambiguous, making the diet difficult to follow. Alas, the Huffington Post put out some great (45 altogether!) recipes to transform Mediterranean ingredients into delicious dishes. Check them out here. The post is actually from last winter but the light and veggie-filled dishes are great for the summer. 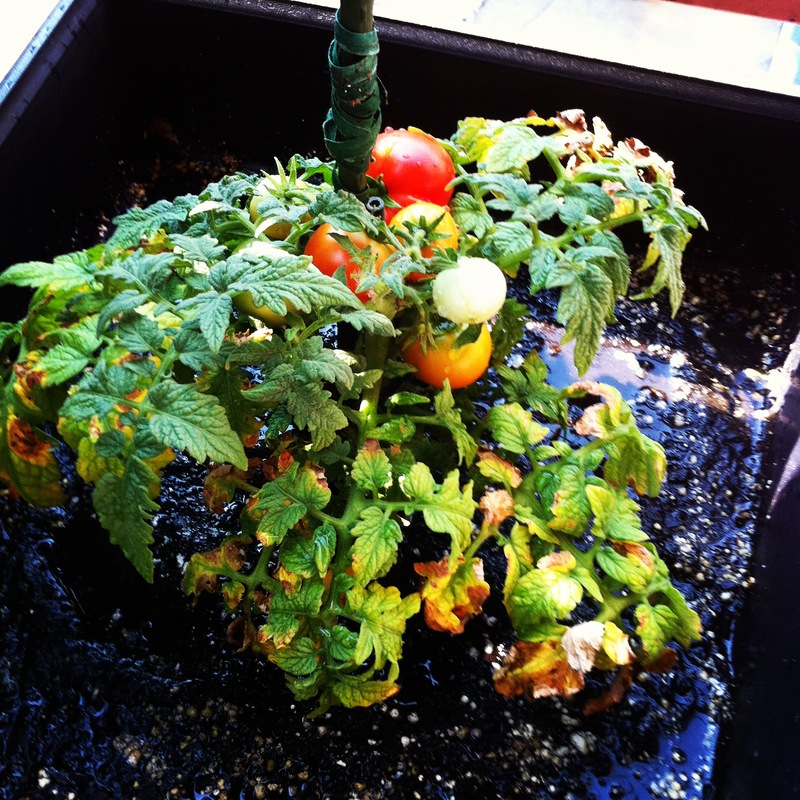 With my tomato and basil plants thriving (not a small feat, seeing that I’m growing them on my mostly shaded patio), I am ready to create some of these recipes – and probably tweak them a little along the way!